Well folks, we’re on the cusp of summer here in Hershey and you know what that means…concert season at Hersheypark Stadium! 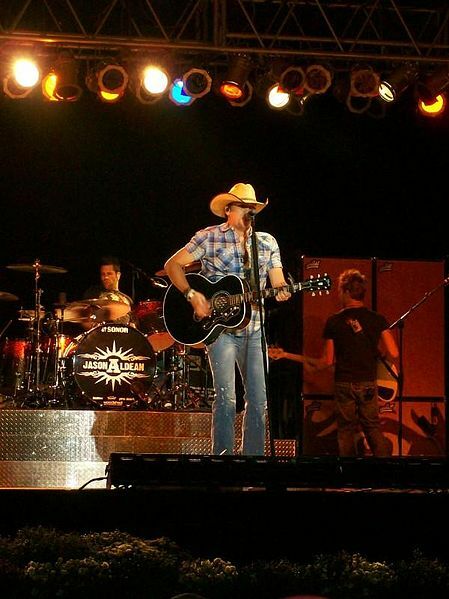 It has been a few years since Jason has been to the Hershey area…..it’s time for him to come back and he will be here the end of May…the Aldean Army is sure to be thrilled! Since 2005, he has released six albums and a whopping twenty-two singles under the Broken Arrow Records label. His 2010 album, My Kinda Party, is certified triple platinum by the RIAA (Record Industry Association of America). Night Train, his 2012 album, is certified double platinum while his four other albums are all certified single platinum…that’s a lot of records. He has won numerous awards, among them: Top New Male Vocalist, Male Vocalist of the Year (on several occasions), Artist of the Year and Album of the year. Touted by Rolling Stone as “Jason’s most explosive tour ever”, Mr. Aldean will be joined by Cole Swindell, Tyler Farr and Dee Jay Silver. And a head’s up…Jason will be performing on Today Show’s Summer Concert Series Friday, July 31, 2015.